Micronic releases a one-of-a-kind tube-rack combination, the 2.00ml Tube with External Thread in 96-5 Rack, that allows researchers to store high volume samples in a space-efficient 96-well format. The tube provides an extraordinary storage capacity of 1.55ml. 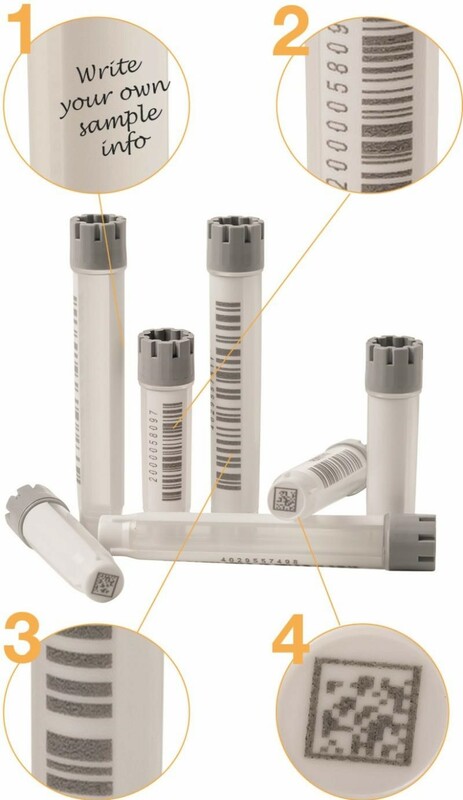 The high-volume tubes are designed with thick tube walls for long-term sample storage and can be used to store samples down to -80°C. They are standardly provided with 2D Data-Matrix codes which are permanently laser-etched onto an inseparable black code surface on the bottom of each tube. Because the codes can never wear or fall off the tubes, absolute sample traceability is guaranteed. Contact our Technical Team to request a sample. There are new additions to the ImmPRESS® and VECTASTAIN® kits: The ImmPRESS PLUS and VECTASTAIN PLUS kits contain more of the essential IHC workflow components in prediluted, ready-to-use (RTU) formats to get your experiments running faster. These new comprehensive PLUS kits remove the tedious, time-consuming adjustments required when using mis-matched reagents from different vendors, while simplifying your IHC workflow. Contact our Technical Team for more information. The Micronic Screw Cap Recapper CS100 line is developed to improve the manual (de)capping of tubes. The manual Recappers are available for 96-, 48- or 24-well format tubes with internal thread or external thread. The cost-effective tools are set to a precise torque value and stop turning when a perfect seal is established, ensuring an optimal sealing performance. SNAP-ChIP® spike-in controls are the ideal tool for generating reliable ChIP data. Combined with qPCR, you finally get an internal control to monitor technical variability in your ChIP experiment and you don't waste time and money sequencing failed ChIP assays. Contact our Technical Team for details. A full range of volumes and styles of these new reservoirs are now available to accommodate a variety of required reagent volume and reduce waste. The chillers provide an ice-free, non-toxic way to extend working period and preserve integrity for temperature sensitive reagents. TrueVIEW™ Autofluorescence Quenching Kit uses a unique, patent pending quenching agent to specifically bind and quench autofluorescent elements from non-lipofuscin sources, even in the most problematic tissues. TrueVIEW™ provides a specific reduction in autofluorescence and improved signal to noise ratios. VECTASHIELD™ Vibrance™ prevents rapid photobleaching of fluorescent proteins and fluorescent dyes. It is supplied as a ready-to-use formulation which will cure (set) over several hours at room temperature to immobilize the coverslip. No further sealing of the coverslip is required. The Micronic Rack Reader DR500 and DR505 are small benchtop solutions that can read 2D codes quickly and cost effectively within seconds. The compact readers are built for high throughput and automated systems. The DR505 version has an anti-frost system, which enables users to read racks filled with 2D codes tubes straight from the freezer. All Micronic Rack Readers are supplied with Micronic Code Reader Software to ensure an optimal performance. This library preparation kit is integrated with NuQuant, a proprietary library quantification method for efficient and accurate quantitation of Next-Generation Sequencing (NGS) libraries. The NuQuant method eliminates the need for time-consuming or inaccurate library quantification methods like qPCR, fluorometry (e.g. Qubit®) or microfluidic electrophoresis (e.g. Bioanalyzer®) allowing DNA-Seq libraries to be constructed and quantified in a single day. 3D CoSeedis™ is a novel scaffold-free 3D cell co-culture system. 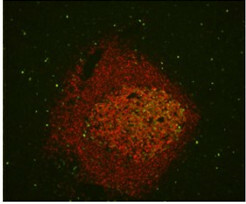 It consists of a unique conical agarose matrix array (CAMA) that allows the formation of spheroidal and non-spheroidal cell aggregates in a highly-reproducible and consistent manner. The conically shaped microwells within the array allow precise determination of aggregate volume and cell growth. Furthermore, the modular composition of the 3D system allows distance co-cultures and, consequently, the standardisation of protocols. The 3D CoSeedis™ system broadens the range of cells accessible to 3D evaluation substantially. Furthermore, it provides validated and standardised workflows and therefore takes 3D cell technologies to a new level of reliability. Image: A) Scan of a single 3D CoSeedis™ matrix containing ca. 900 spheroids for volumetric analysis; B) Electron microscopic image of 3D CoSeedis™ surface showing microwells. The GDS II comes in either a 302nm or a 365nm version and runs on a Windows based PC (not included). The GDS Touch II comes in either a 302nm or 365nm wavelength version with 470nm epi-blue lights for use with “Safe” Dyes that eliminate need for ethidium bromide. Both versions now come with a storage location on its top to help maximize bench space and provide a place for accessories so you know where to look. Easy to use and cost effective electroporation system for high efficiency transfection of mammalian cells. Electroporation is the method of choice for many hard-to-transfect cell types, and the Ingenio® EZporator® Electroporation System is a cost-effective, straightforward, open system that is perfect for any lab seeking performance without breaking the bank. To make sure your experiments get off to a great start, we will include an eight reaction Ingenio® Electroporation Kit (including solution, cuvettes, and cell droppers for eight reactions) with every purchase of a new Ingenio® EZporator® Electroporation System. This silica-based size exclusion chromatography column is optimized for separating both aggregates and fragments of monoclonal antibodies. Additionally, it can be used for analyzing antibody drug conjugates by using organic-containing mobile phases which reduce hydrophobic interactions. Excellent lot-to-lot reproducibility: Virtually no lot-to-lot variability providing excellent reproducibility for effective quality control methods. Exhibits low non-specific adsorption with improved stability for long column lifetime. Exceptional resolution: Provides competitive performance to similar 3µm SEC products currently available on the market. For both HMW and LMW species, resolution is significantly improved. Designed for antibody sizing separations: Developed on a 3µm, 250Å pore size particle useful for separating aggregates from monomer, as well as providing increased resolution for lower molecular weight fragments. YMC products are available to us through our Sister Company, Chromatographic Specialties Inc.
To simplify your purchasing process, Chromatographic Specialties Products can be purchased through MJSBioLynx, and vice versa. The patent-pending XtalTool was developed as a platform for protein X-ray crystallography to be used in all steps from crystallization, ligand soaking and data collection without any direct crystal handling. It is especially interesting for fragile crystals, for which any manipulation might disturb crystal packing and impair diffraction quality. XtalTools replace regular cover slides used in 24-well hanging drop plates without compromising on optical parameters since crystal growth can be monitored using a regular microscope. The design of the XtalTool permits accurate addition and removal of ligand, fragment and / or cryoprotectant solutions without disturbance of the crystals. Once crystals are prepared to the individual user's needs, the XtalTool can be directly used to collect crystallographic diffraction data at room or cryogenic temperature. Its geometric design allows high compatibility with most synchrotron and in-house beamlines as it shares the standard 18 mm SPINE length of a regular sample holder. The employed crystal supporting material is X-ray translucent and does not interfere with diffraction data collection. VECTASHIELD® Vibrance™ Antifade Mounting Medium prevents rapid photobleaching of fluorescent proteins and fluorescent dyes on cell and tissue section preparations. It is supplied as an aqueous, ready-to-use formulation which will cure (set) over several hours at room temperature to immobilize the coverslip. No further sealing of the coverslip is required. VECTASHIELD Vibrance Antifade Mounting Medium is compatible with the majority of commercially available fluorescent dyes. The antifade properties of the medium are effective across the spectrum, including far red channels. The new 0.40mL tube is designed to perfectly fit into the TTP LabTech comPOUND sample store (D2 modus). The store can hold two 0.40ml tubes in each hole of its carousels, doubling the capacity. This special tube design provides the maximum sample storage capacity compared to all other available tube designs, the Micronic tube features the highest working volume of 0.40ml. 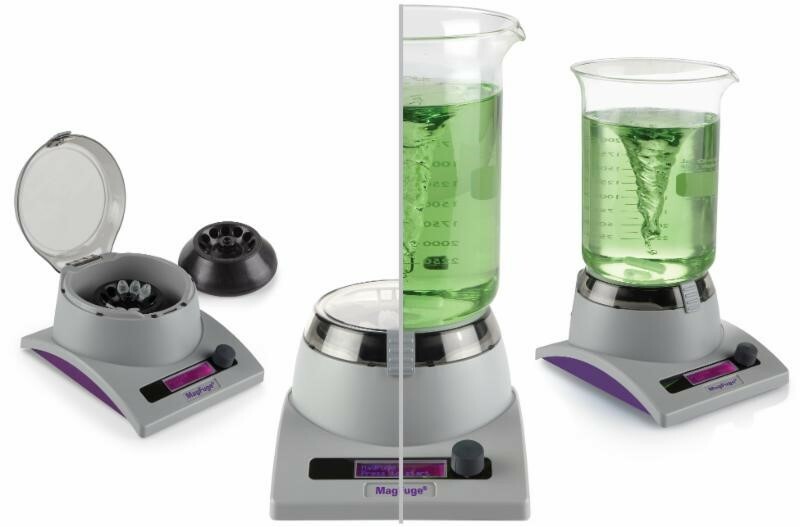 The Magnetic Induction Stirrer is motor-less, using advanced coil technology that produces the strongest magnetic coupling and has no moving parts making this unit 100% wear-free and maintenance free. Several advantages come with a motor-less magnetic stirrer versus a traditional magnetic stirrer. Developed to improve efficiency, the recapper is ideal to standardize and automate a sample storage workflow. The device is optimal for high throughput workflows and to relieve researchers from repetitive manual labor.